We talk a lot on this blog about following dreams, and that’s exactly what Torre DeRoche blogs about at The Fearful Adventurer. The Aussie also writes about facing her fears and the process of publishing her first book, which makes her a pretty perfect fit for an author Q&A here. 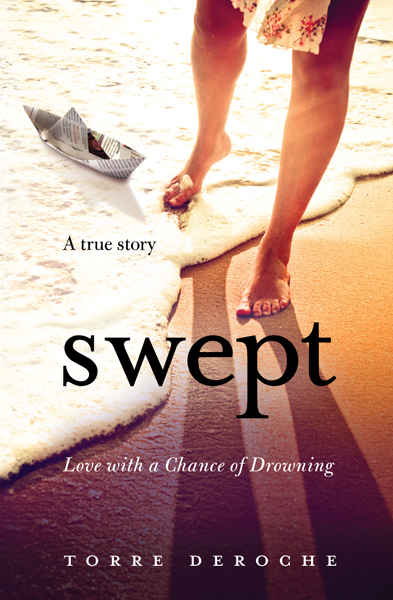 Torre recently released her first book, Swept: Love with a Chance of Drowning. Read an excerpt or watch the book trailer! Or check out her answers below, and I guarantee you’ll be on your way to Amazon to order your own copy. Alexis: Congrats on your book launch! Wanna give us the gist of what it’s about? 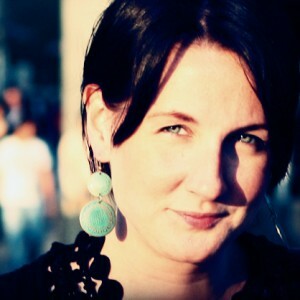 Torre: Thanks, Lexi, and thanks for having me on your blog! Swept: Love with a Chance of Drowning is a memoir about how, in my mid-twenties, while away from my Australian home for a year of work and fun in San Francisco, I fell for a 31-year old dreamer who had a humble sailboat and a plan to set off exploring the world. Terrified of deep water, I wanted nothing to do with his plans, but eight months after we first met in a bar, the time came for him to depart and I had two choices: leap into watery oblivion with him, or watch the man I was in love with sail away forever. I leapt. Why’d you decide to self-publish rather than go the traditional route? Short answer: I&apos;m excited to experiment with the era of self-publishing. I love the entrepreneurial aspect of it. My background is in marketing and graphic design and my sister is a talented professional editor, so armed with these assets, I feel capable. Long answer: After reading many articles and comments from disgruntled authors, I started to grow fond of the idea of flying solo — so fond, in fact, that I turned down my chance with an agent in NY. The agent had had my MS for five weeks, and when I emailed him to ask how the read was going, he said that, while he loved what he&apos;d read so far, he hadn&apos;t been having much luck with selling memoirs to publishers. He still wanted to consider working with me, but his email warned of a long, uncertain road ahead. My response was relief and happiness! I&apos;d been wanting to self-publish, but I just needed a good excuse to go for it. What’d you learn through the self-publishing process that could be beneficial to those of us considering the same path? Self-publishing has a stigma because, for too many writers, it&apos;s the Florida of publishing: the last resort before death. If you adopt that defeated attitude and you begin to believe your book isn&apos;t worthy, you&apos;ll create an unworthy book with poor editing, hideous design and floppy marketing. Self-publishing isn&apos;t an excuse to forgo effort and investment. A poorly executed book pollutes the marketplace and perpetuates the stigma. If you&apos;re going to choose the solo route, give it everything you&apos;ve got. If the execution is sleek and professional, and you haven&apos;t skimped on hard work, most readers won&apos;t know or care who published your book. They just want to be entertained. Part of the reason I’m crazy about your blog is because you write a lot about a topic I’m passionate about: taking leaps in life. You call it “dream planning,” which I love. Did you set out to focus on that when you first started blogging? Thank you. I wanted to create a blog with the message of, “Feel the fear and do it anyway,” but without a corny self-help tone. I have generalized anxiety disorder, which means I&apos;m more anxious and phobic than your average person. I like to show people that fear isn&apos;t a reasonable excuse (if I let it become my excuse, I&apos;d be a hermit cat lady in no time). In part, I&apos;m encouraging readers to face fears and follow dreams, but I&apos;m simultaneously reminding myself to pursue adventure despite my fears. You’ve grown an impressive blog community. What’s worked well for you in that pursuit? Can you share your top two blogging tips? On Saturday nights, you&apos;re more likely to find me bathed in the glow of my laptop screen, than bathed in the glow of a disco ball. Tip one: work hard. Tip two: write like nobody is watching. Staying open and vulnerable is — in my opinion — what makes a blog interesting, so it&apos;s important to forget that your conservative relatives may be reading. In order to reveal your personality, you have to be uninhibited, so let your freak flag fly and just hope that Grandma will still look you in the eyes at Christmas time. If not, too bad for her. Is it true you quit your day job to write? What was that day job? And how do you support yourself now? Yes, that&apos;s true. I had a design business and I worked from my home office. Business as a freelancer is irregular, so if work was quiet, I&apos;d tinker with my book. When the ‘economic downturn&apos; hit Australia, I embraced the opportunity to write uninterrupted. By the time business picked up again, I was too involved with my book to resume design. As for funding the book, I regard it as an investment. People don&apos;t hesitate to blow savings and accumulate debt for assets, but investing everything into a creative project or a dream is commonly seen as reckless. Maybe nothing will come of it financially, but I&apos;d rather be asset poor than dream poor. I&apos;m investing in a life experience. My dad&apos;s a writer and my mum is a singer, so I&apos;ve watched my parents swerve between wealth and debt my whole life. They lived humbly and unpretentiously, but they were always fulfilled. They&apos;ve accomplished some amazing things. I was taught to take art seriously and to scoff at yuppies, so having my parents&apos; approval is invaluable. I&apos;ll probably die a poor, homeless lady, but I&apos;ll never regret this experience. Plus, Swept will always make excellent kindling for my derelict oil barrel heater when I need to warm my old lady hands. That&apos;s an investment, right? When it comes to promoting your book, where are you focusing your efforts? Do you have a goal for how many copies you’d like to sell? I&apos;ll exploit every path that looks promising, but I&apos;m focusing the majority of my efforts online. My goal is 5,628,101 book sales. Why not? If I sell enough copies to fund Ramen noodles and beer, that will be okay too. Is there anything else you’d like to share that you think would be helpful or interesting to readers here at The Traveling Writer? I see so many writers attached to the idea of getting published traditionally. Writing is a lonely endeavor full of self-doubt, and we&apos;re all ultimately seeking validation that we haven&apos;t wasted an incredible amount of energy on a dud project. We crave to be told we&apos;re good enough, and to be inducted into the club of ‘real writers.&apos; But there&apos;s no such thing as a ‘real writer,&apos; and you don&apos;t need a publishing house to tell you you&apos;re worthy — that job has always been in the hands of readers. Storytelling is about one thing only: entertaining readers. Now, there&apos;s no gatekeeper between reader and writer, and publishing houses no longer invest hefty sums into marketing. So authors really need to ask themselves: do I need a publisher to make this happen? There are many good reasons to align with an agent and a publisher, but ego stroking is not one of them. Thanks again, Torre! Can’t wait to read your book. If anyone has questions for Torre, feel free to leave them in the comments. She promised to swing by today and indulge us! Wonderful interview. My favorite part among many: “People don’t hesitate to blow savings and accumulate debt for assets, but investing everything into a creative project or a dream is commonly seen as reckless.” I feel the exact same way. We use the words “invest in myself,” but few people treat it as a true investment, which means it may or may not yield returns. I also appreciated the take on self-publishing. I’m leaning more and more that way myself. I think the real deciding factor is whether you enjoy and can excel at marketing. But then, that’s actually true either way, since most publishers won’t market for you anyway. In fact, I’ve always toyed with the idea of creating my own publishing house, just to do it right, but I digress. Thanks for a great read this morning. I plan to pick up a copy of your book for my husband, who’s always dreamed of sailing away (but thankfully never has). A little vicarious adventure sounds just the thing. Congrats! Hi Jen. I agree: you really do need to regard it as an investment. Even if it doesn’t work out to be a financial investment, you’ll have invested in a dream. The guy I sailed with, Ivan, paid around $40,000 for his boat and another $40,000 for equipment (money he’d saved over 5 years, money that most people spend on a down payment for a home). He always said, “If I get any of this money back, that will be a bonus.” It was his dream, and not a financial investment. Well, writing a book is the same. If you get any money back, that should be a bonus. You have to accept that your investment may sink somewhere on journey and you’ll lose everything, but how will you ever arrive anywhere unless you’re willing to risk it all? Thanks for your comment! I’m sure your husband will love the vicarious adventure. Fabulous interview! I think I found Torre’s blog the other day from a link you, Alexis, must have tweeted. And I loved it. And the memoir sounds intriguing. I agree with the first commenter and her favorite part of the interview. So very true! Hi Heather! Thanks for your comment and the lovely compliment. Such fantastic words, Torre. Really inspiring. I’m teaching a self-publishing workshop and I’ll definitely be mentioning you. Do you have an e-book version of the book? Also, how did the cover design come about? It’s really beautiful. The book is available on Kindle via Amazon. Thanks for your compliment on the cover! I designed it. I have a degree in Visual Communications and I’ve worked for over 10 years in graphic design. Still, the cover was hard than writing! I lost a lot of sleep over it. Designing for myself is always very challenging because I’m a fussy customer. In the end, I had a lot of help from my blog readers. I posted my options in a post called ‘My Problem With Big Decisions’ http://www.fearfuladventurer.com/archives/4605, and gathered feedback, like: “”¦ the action of being “swept” seems imminent like “Holy s*&%, pick up that boat before that wave goes out!” It seems the most real and intense “¦” These kinds of emotional reactions from readers (also on FB) were invaluable to me. Torre, I loved your insight and attitude to the process of writing and publishing at large. I particularly like how you talked about self-publishing as a choice and not as a last resort. I cannot wait to read your book! Thank you for this interview and Alexis, thank you for hosting Torre! Hi Roxanne. Thanks so much for your comment! I hope you enjoy the book. Great interview Alex, and lovely to meet you Torre. I love the clarity you express here about your choice to self-publish, that it wasn’t a matter of this being your last resort, but instead the path that best matched your skills and interests. Congratulations! Hi Marianne. Thanks for your kind words! I can’t wait to read this book, I have no doubt it’ll be amazing!!! Torre is such an inspiring lady. Aw! Thanks so much, Andi. I can’t wait to share the book with you. Great interview Torre. I’m in the middle of your book and I’m loving every minute of it. It isn’t often that I stay up past my bedtime to keep reading, but I’ve done that more than once with your story. You are very talented and I have no doubt that you can sell 5 million copies on your own, why not? It’s a damn good book. Yay! Great to hear. Can’t wait to read it! “Self-publishing has a stigma because, for too many writers, it’s the Florida of publishing: the last resort before death.” Oh so true! And every so often I will read an article by someone stuck in a traditional publishing rut telling us that we “need” big publishing houses to be our “gatekeepers” so we don’t get bombarded with trash dressed up as books. You are such a great example of how all of the above is wrong! Readers can discover you by themselves on the web, realize your amazing story-telling talent and then buy your book. You are an inspiration to anyone with a story to tell. I definitely agree that publishing houses sort the trash pile, but that doesn’t mean that every indie book is automatically trash. Yet magazines, newspapers and reviewers will assume that to be the case with policies like “Will not review self-published books.” I understand their plight, but it’s elitist and it shuts out the writers who have deliberately chosen self-publishing to keep their rights and royalties. Will the newspapers refuse to review Barry Eisler? Pushing against the stigma is frustrating, but it won’t stop the truly determined from squeezing in the doggie door.